"You ever heard of 'Falling Creek, Florida'?" That was the question emailed to me by an adventure companion on a hot summer night. I point out to my friend, however, that I will be terribly disappointed if, on our "reconnaissance" mission to the creek, that the creek ends up being navigable. Finally, we arrive where Delormes has written the word "falls" along the creek. We drive down every nearby road into all housing developments nearby. No access. No trespassing. Don't even THINK of parking here. A roadside sign near the creek crossing tells motorists not to park here. To park only at the "designated" access area. Upon arrival at the boardwalk overlook, we are greeted by a sight that is completely unexpected in Florida. 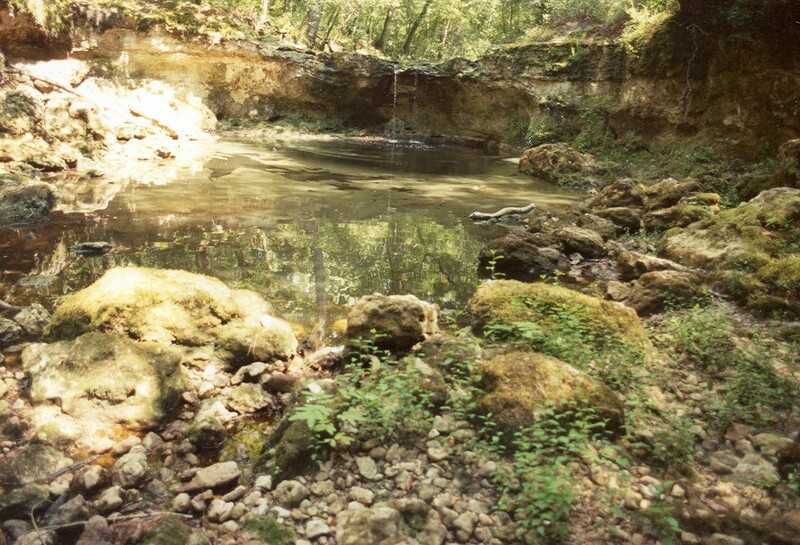 Falling Creek reaches a limestone cliff where water drops about 10 feet into a pool of water. At high water levels, there would be no falls at all, as it would be submerged by the water. Today, the creek is so low that there is barely a trickle going over the "precipice." Still, it is a very impressive, first-time-ever-in-Florida sight for seasoned Floridians such as us. Completely unexpected and unheard of. Mountain ravine and boulders in flat, sandy Florida???? Fed by a waterfall??? Again, how is it possible that I have not heard of this before? My conclusion is this: For a reason I am unable to explain, Falling Creek does not seem to be spring-fed (spring-fed rivers tend to have a regular "base-flow" of water even in dry conditions, and are almost never dry, as is Falling Creek on this day of our visit). 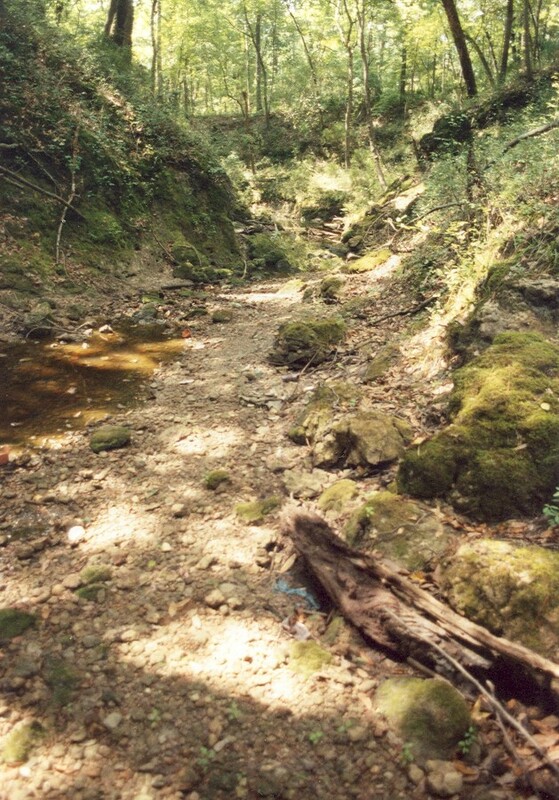 How could it be that in this limestone geology that the creek flows through, and where nearly all Florida streams are fed by springs, can Falling Creek be unfed by springs?